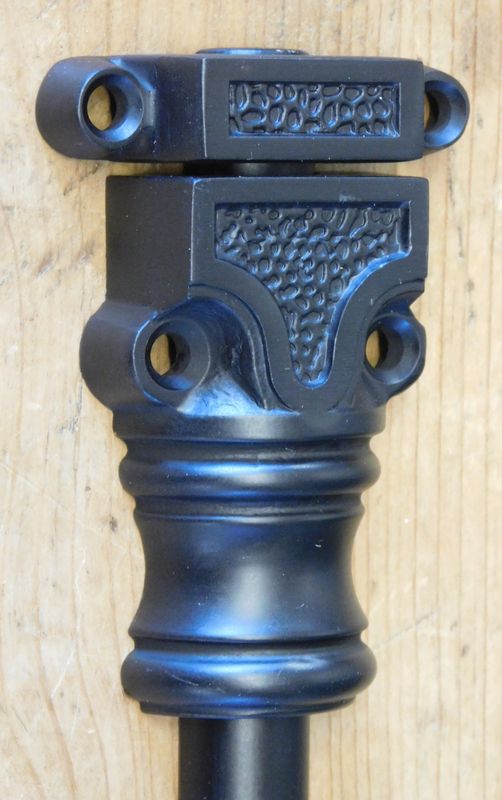 A great value on a black painted solid brass cremone bolt. Nicely made heavy brass components with a sturdy steel mechanism inside. Case measures 5-3/4" tall x 1-5/8" wide x 2-1/2" projection. 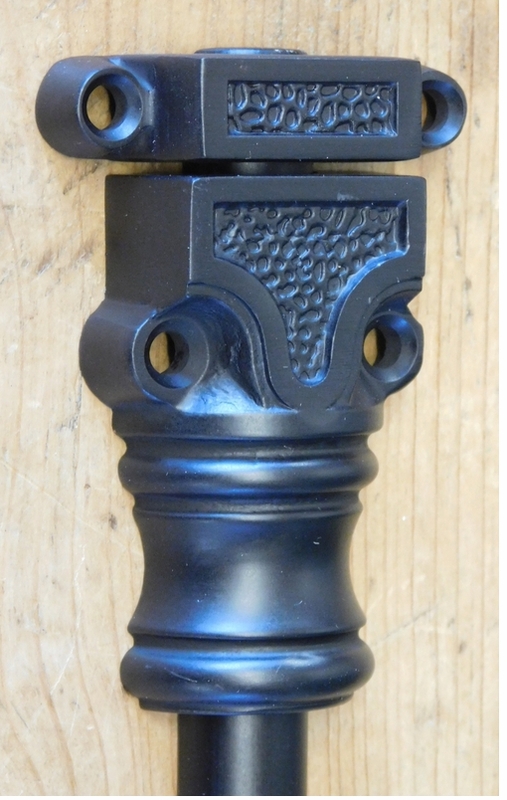 Rods extend 1/2" in each direction when knob is turned 180 degrees. Rods measure 62-3/4" overall x 5/8" wide. Center guide measures 3-1/4" tall x 1-5/8" wide. End guides measure 2-3/8" tall x 1-5/8" wide. Strikes measure 2-1/8" wide and 7/16" tall. Provided with phillips head screws. Sets come with one or two rods depending on height, two end guides, two surface strikes, and one center guide. 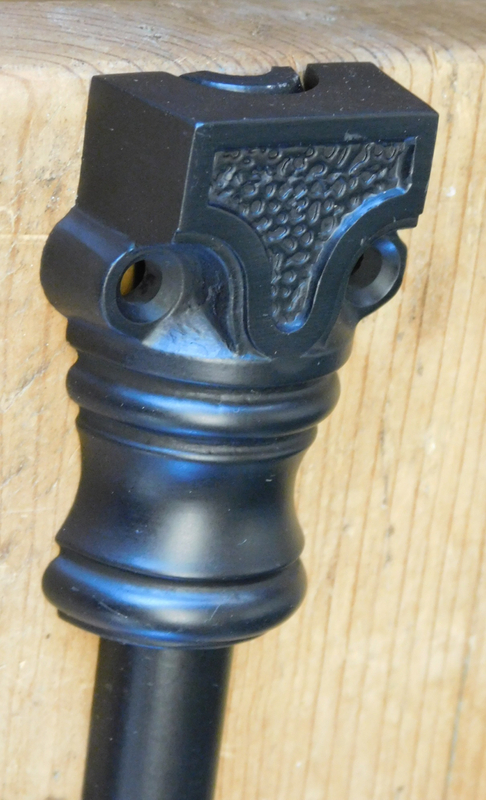 Mortise strikes, universal strikes and angle strikes could be provided at an extra charge.